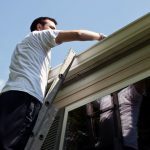 Everyone knows how important the roof is to your home, but it is so out of sight most of the time that we don’t often give it a second thought. 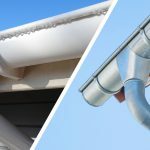 You might only realise that something is drastically wrong when your roof begins to leak or, worse still, when wet weather reaches your ceilings and walls inside. 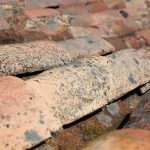 If you do spot signs of damage then don’t panic, most problems can be fixed if spotted early – generally if your roof is less than 15 years old, it should only need repairs. Repairs are obviously cheaper than replacing the whole roof, but there will be times when you can’t put the job off any longer. 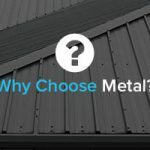 When replacing your roof, or having a new one installed, one of the best and most popular options is to fit a metal roof. 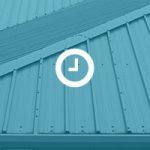 There are many advantages for installing a metal roof; for example, metal roofing is highly durable, weather-resistant and can provide protection from the sun’s rays, reflecting heat away from your home and thus keeping it cooler. 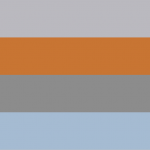 There are a range of materials available including stainless steel, zinc, lead and copper, all of which are available in different colours and designs to fit the aesthetic of your home. These materials will last for years when well-maintained too, with some metal roofs lasting well over 50 years. 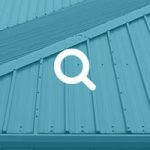 Certain roofing materials are more costly than others and, as sheet metals require more expertise to fix and install, they can therefore cost more. However, their expected life span, the advantages they provide and their low maintenance nature guarantees sheet metals are an incredibly worthwhile investment. 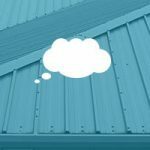 In addition, if you intend to sell your home then a metal roof can prove to be an asset for new owners as they get the reassurance of a strong, durable and long lasting roof. In modern society a roof over our heads is one of the things we value most so why risk leaving damage unchecked? If you want a roof that will offer years of reliable use and improve the aesthetic appeal of your property, then get in touch with us at JTC Roofing for more information. Our team can advise you on the right materials for your project.